Sydney Theatre Company and Global Creatures announced today that legendary Australian actor Gary Sweet will play the role of Muriel’s father, Bill Heslop, in the world premiere of Muriel’s Wedding the Musical. Director Simon Phillips said, "It’s gratifying to realise that one of Australia’s most renowned bad boys has grown old enough to inherit the shoes left by the late great Bill Hunter. 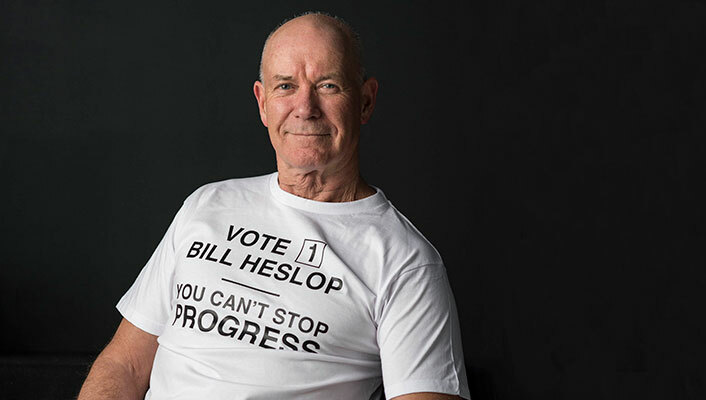 Bill 'the Battler' Heslop has achieved iconic status as an incorrigible Aussie scoundrel, but like everyone in Muriel’s Wedding he needs to be played by an actor of eye-twinkling charm. There can be no doubt that Gary fits the bill (no pun intended) in every way – he has effortless comic gifts and outrageous charisma. And, who’d’ve thought it, he can sing! He has put the icing on the cake of our Muriel’s cast." What drew you to the role of Bill? The character of Bill is very appealing because he's such a villain, he's a scoundrel and a blaggard, he's rambunctious, nasty at times, duplicitous and completely selfish.... what an absolute delightfully disgraceful character for an actor… mind you he does get his comeuppance. You’re playing the role made famous by Bill Hunter, who you worked with several times. What was that experience like? Bill Hunter and I worked together on many occasions, from movies – Fever, An Indecent Obsession – to the miniseries Blue Murder and Small Time Gangster, and he and I were great mates. I hope to do him proud and expect a sign from him, wherever he is, to let me know how I'm going. Why do you think the story of Muriel’s Wedding still resonates? Muriel's Wedding still resonates because it is a brilliant piece of writing. It has great characters, iconic phrases and embraces the underdog and her struggle, it rejoices in the triumph of the human spirit. What about being in the show are you most looking forward to? I am very much looking forward to working with a stellar cast and resuming my relationship with Simon Phillips, who is a peerless director.